The Federal Inland Revenue Service (FIRS) is to sell of the properties of 52 companies over tax debts valued at about N3.4bn. Investigations by our correspondent in Abuja showed that already, the Legal Department of the Service had begun the process to sell the properties in a bid to effectively implement the initiative. It was gathered that apart from the 52 companies, ten other companies are still under investigation for tax evasion while enforcement action is expected to be carried out on another 10 companies in Lagos with a total tax value of N727.42m. Our correspondent also revealed that based on an investigation conducted by the FIRS, some private organisations that own properties in Nigeria had not been paying any form of taxes. Following this discovery, it was learnt that the agency took a review of all properties that were under corporate ownership. In order to ascertain the level of turnover, the FIRS wrote to commercial banks asking for details of the turnover of some of the affected companies. The first letter to commercial banks from the FIRS, findings showed, was written in May last year. The letter requested a list of companies, partnerships and enterprises with a banking turnover of N10 bn and above. The second letter according to findings was written to all commercial banks in October 2018, and the responses from the banks are currently being reviewed by the FIRS. It was learnt that the move was part of the special programme to drive compliance. The special programme is targeted at recovering tax liabilities from non-compliant companies that are currently being assessed for tax under the Company Income Tax Act. 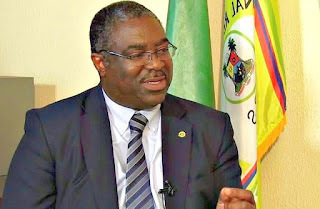 The FIRS Chairman of FIRS, Mr Tunde Fowler, had on Thursday during a meeting with the acting Inspector-General of Police, Mohammed Adamu, explained that the agency would collaborate with security agencies this year to go after wealthy tax defaulters. He had requested the Nigeria Police to assist the FIRS to bring the tax defaulters to pay their taxes. He said, “We looked at businesses, partnerships of any activity that has banking turnover between N100m and N999m. We have done a review of this group of businesses. “We have about seven more banks that we are still waiting for the return from and to review their information. “So far, we have 45,361 that have TINs and are making payments. We have 40,611 that have TINs, that made tax payment and, we have 44,504 that have no TIN and no payment. Fowler also commended the Nigerian Police Force for its support and collaboration over the years, which he said, had helped the FIRS to achieve its target and requested for more support to enable it to recover taxes due to rich tax evaders in 2019.